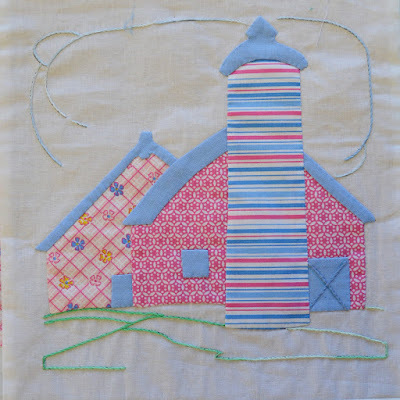 Last fall we shared blocks from Barbara Eikmeier's 30's Sampler Block of the Month featuring the Vintage 30's Ruby's Treasures collection. We have more to show off today, including some of the adorable applique blocks made from the collections embroidery panels. 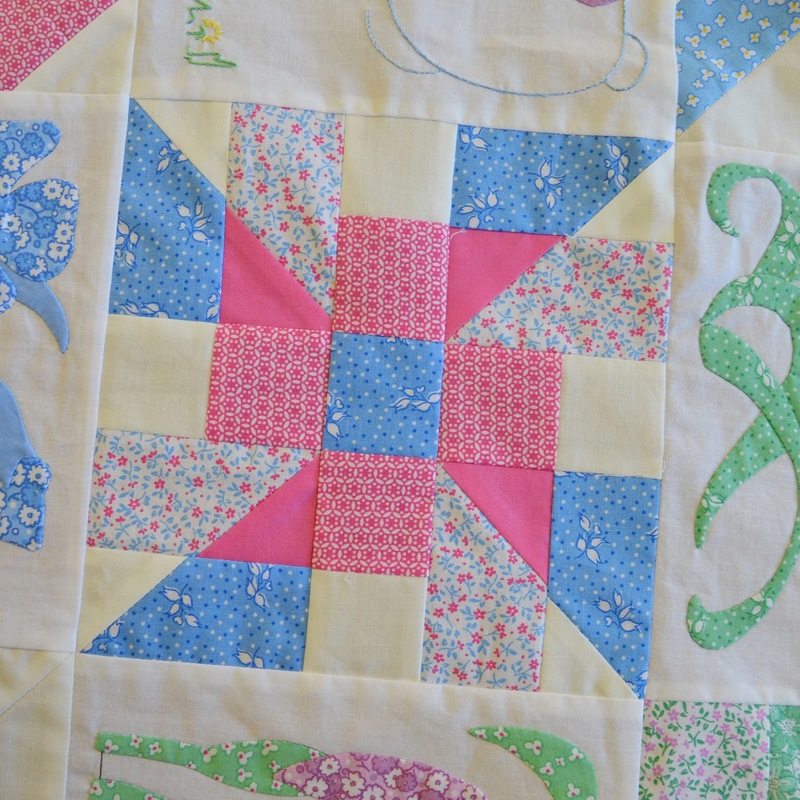 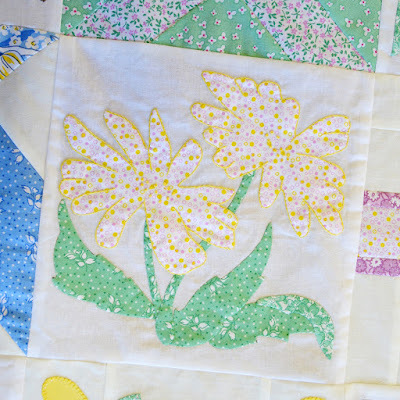 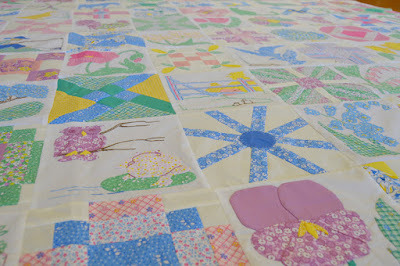 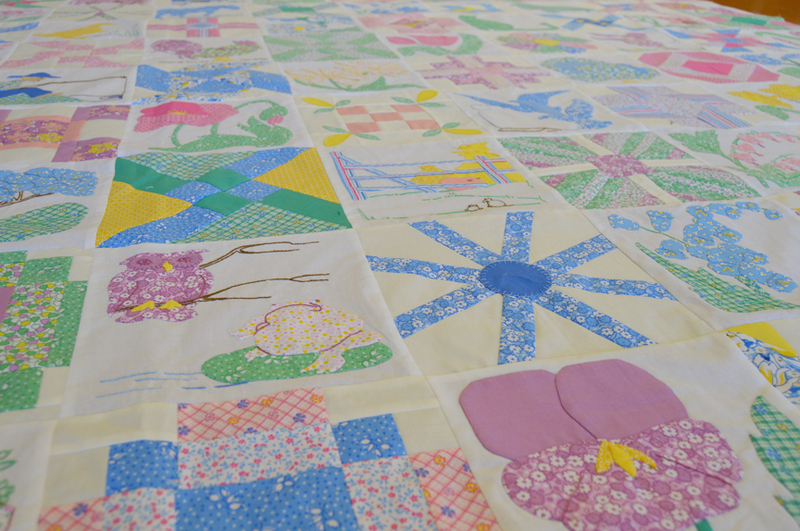 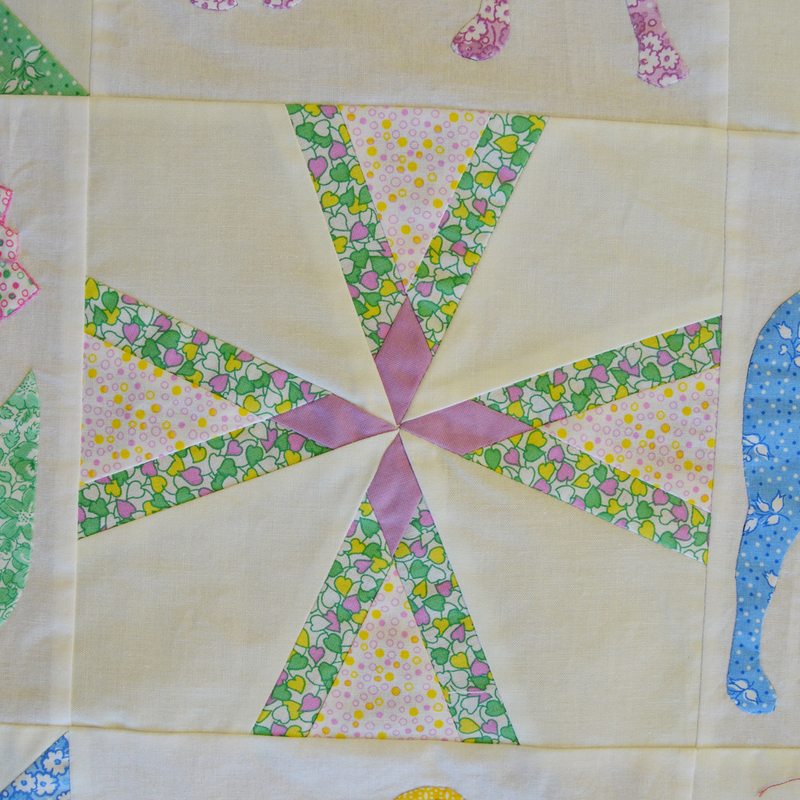 The quilt features 81 blocks: 41 pieced blocks and 40 appliqued blocks. 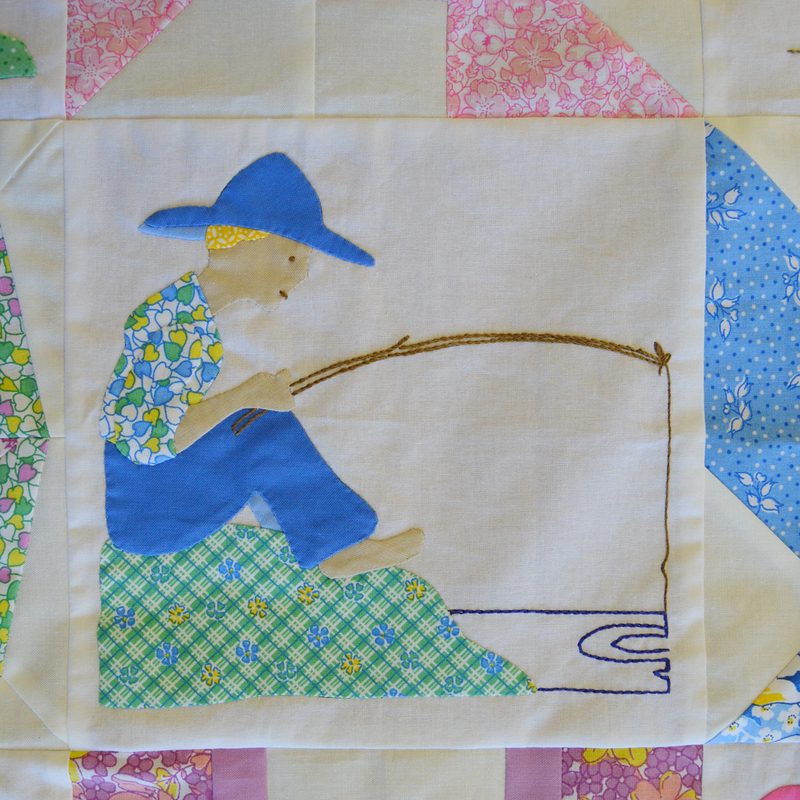 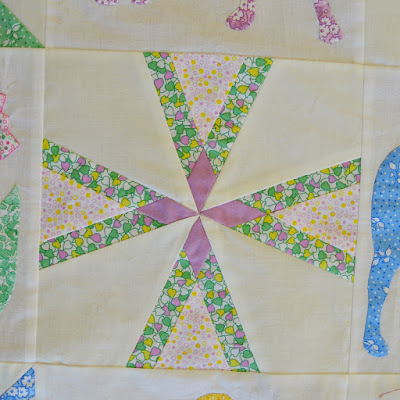 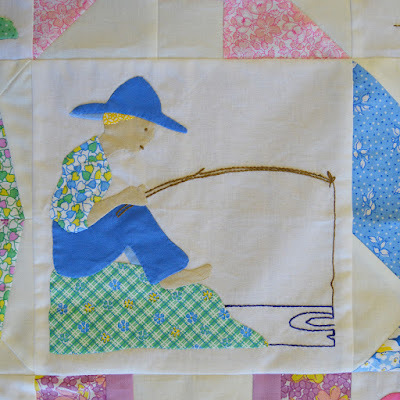 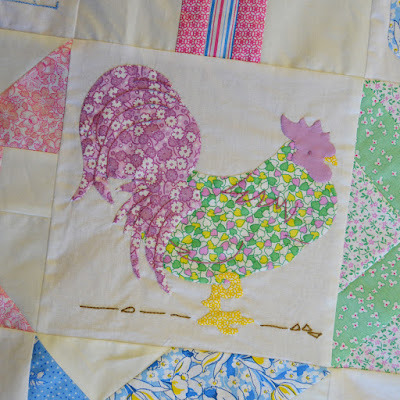 Barb used a back basting applique method to create the shapes for each block and made the entire quilt from a fat quarter bundle of the Vintage 30's prints plus the coordinating solids. Love the green and purple rooster! 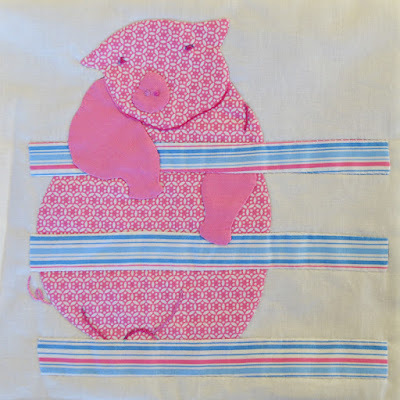 This pig might be our favorite, peeking over the striped fence. 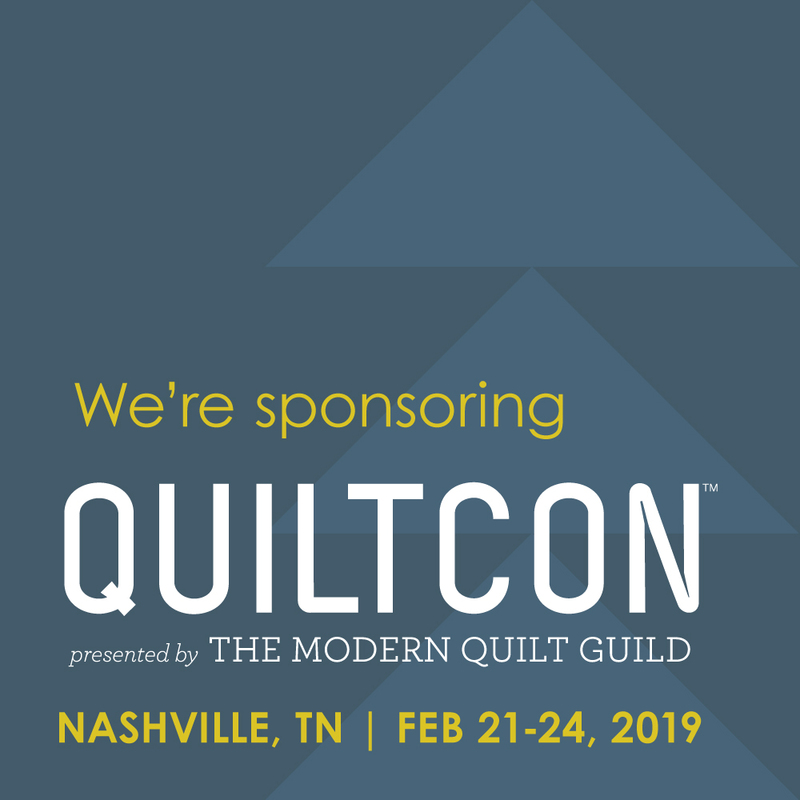 We can't wait to see this quilted! 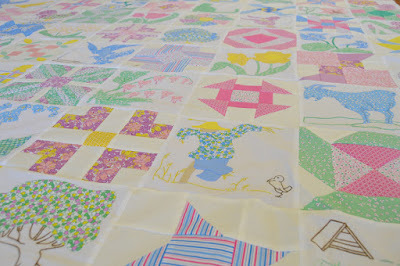 Read more about the BOM here. 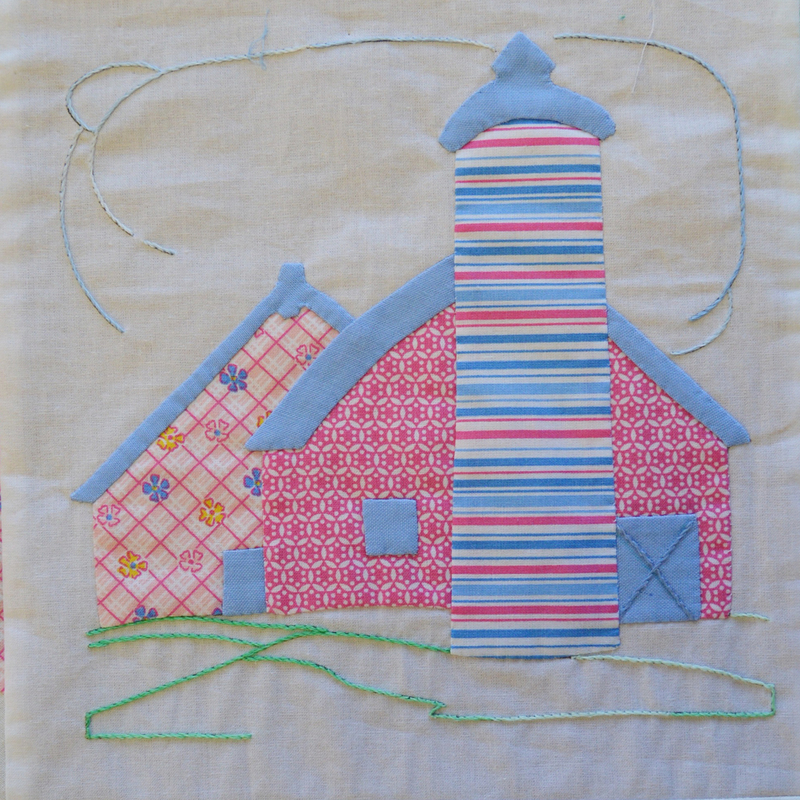 It's not too late to sew along! Barb's quilt is almost done, but you can purchase the patterns and the kit on her website.